The special edition blue and white Suzuki GSX-R1000Z showcased at the launch of ‘Suzuki Biking Lords’ – an exclusive superbike club by Suzuki Motorcycle India Limited (SMIL) is now being owned by the Superstar Salman Khan. 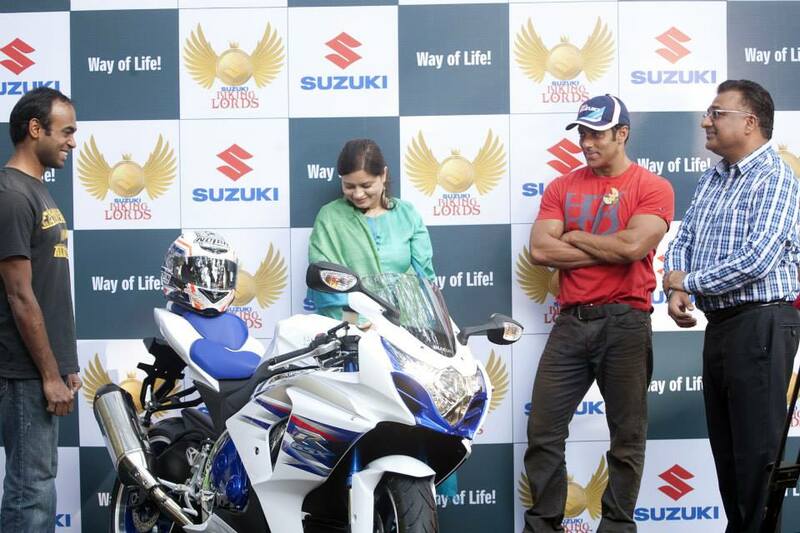 The limited edition GSX-R1000Z was presented to Salman on the occasion of the launch of ‘Suzuki Biking Lords’ – an exclusive superbike club formed by Suzuki Motorcycle India. 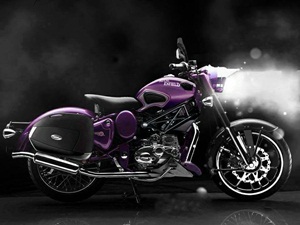 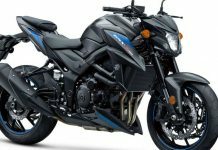 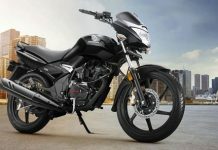 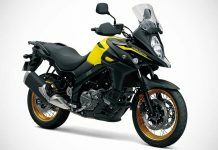 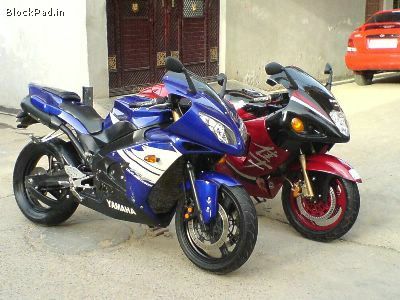 With this, the superstar adds one more Suzuki superbike to his collection, after the legendary superbike like GSX1300R Hayabusa and the incomparable Intruder M1800RZ cruiser. 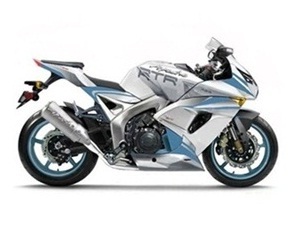 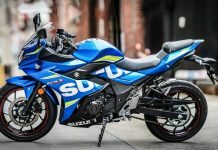 The limited edition GSX-R1000Z was produced to celebrate the occasion of Suzuki rolling out its 1 millionth GSX-R from its production line and has been limited to just 1,985 units (1985 was the year when the GSX-R was introduced) across the globe. 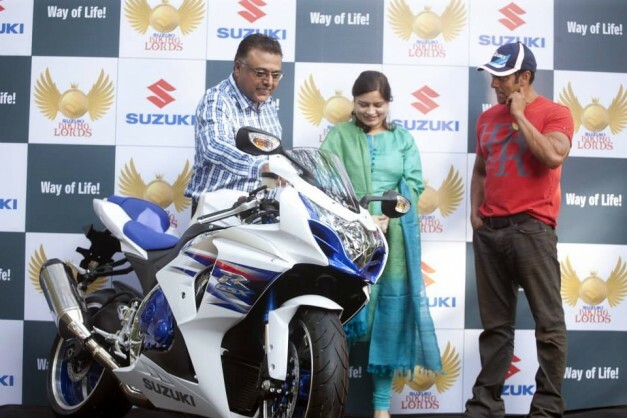 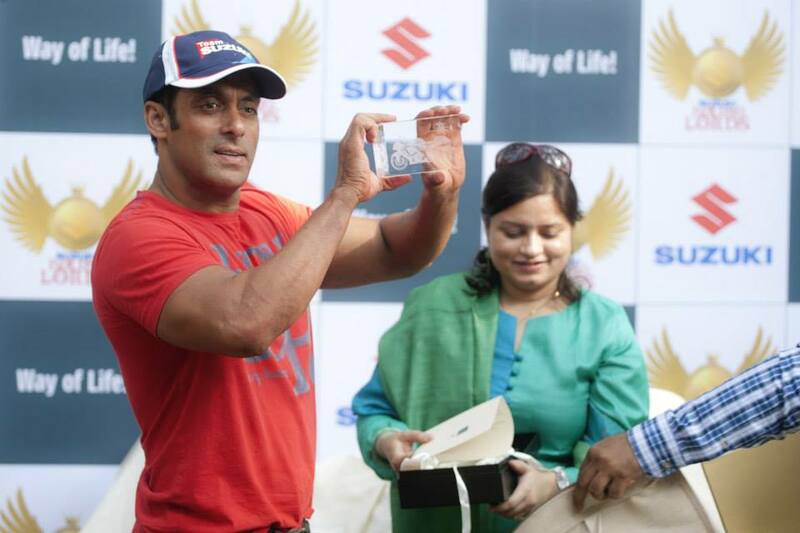 Salman Khan being the brand Ambassador for Suzuki Motorcycle India Limited (SMIL) also becomes the sole owner of the limited edition Suzuki GSX-R1000Z in the country.